Business is about results and this is why it's quite natural if your client wants results and increase in traffic as one of the physical dimensions of SEO improvement. However, unlike many other areas where you can show a deliverable or some other form of tangible results right after you finish the project, this isn't the case with SEO. With SEO, results may come months or years after the start and the worst is they might never come at all. This is too bad because your client will hardly be happy to pay for no results. However, when there will be results, there are some sound indicators for that, as we'll discuss later but first let's discuss what your client can expect. I know some clients will find it hard to understand that traffic isn't the most important measure of SEO success or failure but for the majority of clients it's clear that traffic is just one side of the coin. What matters most is ROI &dash; i.e. how much more you are making as a result of your SEO campaign. For instance, for one of my affiliate projects, I didn't bother at all to check traffic ups and downs &dash; I checked just conversions because this was the most important. Even if the increased traffic were times the initial, if the commissions were the same, I would have declared this campaign a failure because I am not interested in hits but in conversions. Of course, presumably the more traffic you have, the higher the ROI. As a result, even if traffic is up but ROI isn't that much, offer your client to change the strategy to PPC because it usually works better than SEO for conversions. Another issue you need to clarify with your client before you go to the indicators of SEO success or failure is what traffic is realistic to expect and when. Your client might dream that after spending $100 on tons of low quality backlinks, this will land him or her on the first page for a competitive word but as we know, this will never happen. In fact, if you are dealing with a bad client, I can repeat the advice in the 35 Lessons a Decade in SEO Has Taught Me article &dash; part ways with the client before you get a heart attack. You also need to tell your client (if he or she isn't already aware) that it takes time for SEO results to become noticeable. Sometimes you might have to wait for months till you see any improvement, so patience here is a virtue. Good communication with clients is always essential and SEO campaigns aren't an exception. This is why it is recommendable to send your clients weekly, biweekly or monthly reports about your progress during the period &dash; i.e. you have acquired 5 PR5 backlinks from (list sites here), you have added 3 new posts to their blog (list URLs here), etc. These reports help the client know where you are, so don't regard them as a piece of useless red tape. On the other hand, if the client has an idea about SEO, you could coordinate the tasks you plan to do in advance. This also helps him or her keep track of what's going on with the project. If the client has no idea about SEO, then it's tricky because even if you tell him or her about your plans, he or she won't be able to follow and it will also be harder for you to explain to them what the results are. You might even have to explain to him or her the basics about how to get traffic to a site. Now, after you have clarified with your client what can and can't be expected trafficwise, here are some indicators that show you are (or aren't) on the right track. It is much better, if you can report better rankings for major keywords but since this is a goal that might take years to achieve, you can go for the minor keywords. Minor keywords are where you start because they are easier and faster to conquer, yet they can bring a substantial amount of targeted traffic. To report better rankings for minor keywords, just compare the number of hits for each of them before you started the SEO campaign and now. Of course, this isn't very precise because there could be other reasons &dash; for instance seasonal fluctuations that drive traffic for a given minor keyword up and down but all equal, minor keywords are a great indicator about progress or lack of it. You can also report the number of unique keywords that led users to your site. In Google Analytics, go to Sources ? Search ? Organic and at the bottom you will see which keywords brought traffic. If the number of unique keywords is increasing, then you are doing better than before. Increased traffic might be not only from Google but also from other search engines. Google is number one but still traffic from other search engines is generally more targeted and it also counts. To check if you see an increase in traffic from search engines as a whole, look in the server logs, in the referrer field, and you will see where traffic comes to you from. One more indicator your client's site is doing better than before are improved rankings with ranking services. These ranking services include Google's Page Rank, as well as ranking services, such as Alexa, Domain Authority (DA) and other similar services. Of these, Alexa is the most flexible because they update their rankings daily. PR is updated 4 times a year and DA is also updated not very frequently, so it is quite possible that the present rank (or the newly updated one) doesn't take your recent efforts into account. Social media are also an indicator of your popularity. If you manage to grow the number of your Twitter followers, YouTube fans, Facebook friends, or you become popular on a major social bookmarking site, these all tell you are on the right track. It's tricky to report results when these results are not in a physical form but it isn't impossible. 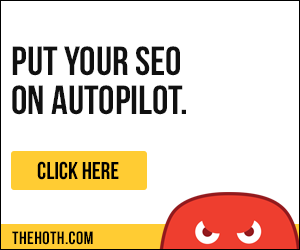 Use the indicators above to convince your client your SEO efforts will bring traffic and keep the good work!